Since separating with the College of Veterinary Medicine at Oklahoma State University-Stillwater, I have joined my wife in pursuing our photography business. We love what we do, because we do what we love. For me, photography has been an incredible gateway into a life I always dreamed of, but never knew how to pursue. Since I was a child, I have always enjoyed photography, but continued my training for a career in veterinary medicine, during graduate school, I realized how much I missed my pursuit of photography, and I took the leap into the world of doing what I truly love to do. My view of photography has and always will be simplicity. I find no need for fake smiles, or over editing, rather I enjoy taking photographs — pure and simple. The result of my photographs is a reflection of true joy, friendship, family, and laughter all of which are transformed into a still frame. I have thoroughly enjoyed viewing my life and the life of others through captured memories, and I cannot wait to share the experience with you! 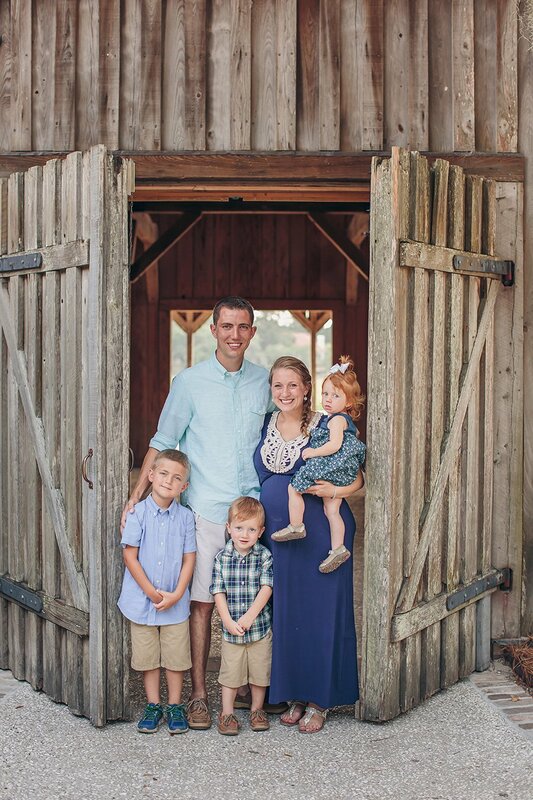 Our 2015 family photos were captured by Nathan Bell in Charleston, SC. Since leaving the life of a CPA, I have joined my husband Tabor on our photography adventure. Our business has never blossomed so quickly as it did when we began to work together. During busy season one year, I came to the realization that though my career was blossoming, it was not an enjoyable pathway for my life. As a photographer, I am able to spend quality time with my family, meet new friends every week, and create memories that my clients will keep for their lifetime. I love thinking about how many beautiful memories are framed on the walls of our clients, and look forward to creating thousands more while enjoying the greatest job ever! It was an easy transition from accounting to photography since capturing memories is something that I love to do. When I look around our house, I’m reminded of the importance of my career. It is my personal mission to capture amazing photography for as many wonderful families as I can. Life is short, and breath-taking experiences can be so brief. I want to capture your life as it happens, so you can remember it forever.